Euclid Chemical spans the nation with its network of sales representatives and consultants. 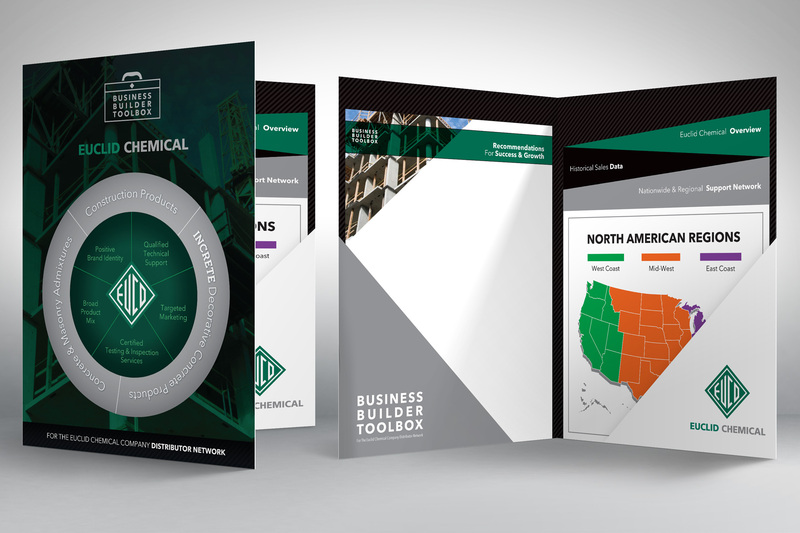 They needed a presentation packet that not only remained consistent with the overall corporate image but also was a flexible tool that could be customized in each individual office by customer and region. Materials developed include a pocket folder with a company overview insert that was consistent across all users, and several insert templates that shared consistent design elements but allowed for the data and customer information to be populated and printed in each satellite office for a more individualized presentation.